Office rents have soared in Ho Chi Minh City, causing many renters to change location to limit costs. Over one year ago, Bui Viet Thuy Tien, director of Asian Trails, a travel agency in HCMC, had to move the company’s head office to a new building when Saigon Trade Center, located on Ton Duc Thang Street, informed her it would raise her monthly rent to US$35 per square meter, an increase of US$7 per square meter. Her office was relocated to Miss Aodai, a new building on Nguyen Trung Ngan Street. The company now pays US$24 for one square meter, or US$7,200 a month for a rented space of 300 square meters, not including electricity and other expenses. Ms. Tien has now to look for another space because the rent may increase soon. “The current rent makes up 12.5 percent of the company’s spending, but it is acceptable. However, it will increase in the near future and then it will make the company’s profits decline,” she said. As a travel agency, Asian Trails can earn only five to 10 percent in profit, so the company must be cautious in its spending, she added. At present, a square meter at Saigon Trade Center goes for US$70 and there is no space left in other office buildings, particularly in districts 1 and 3. 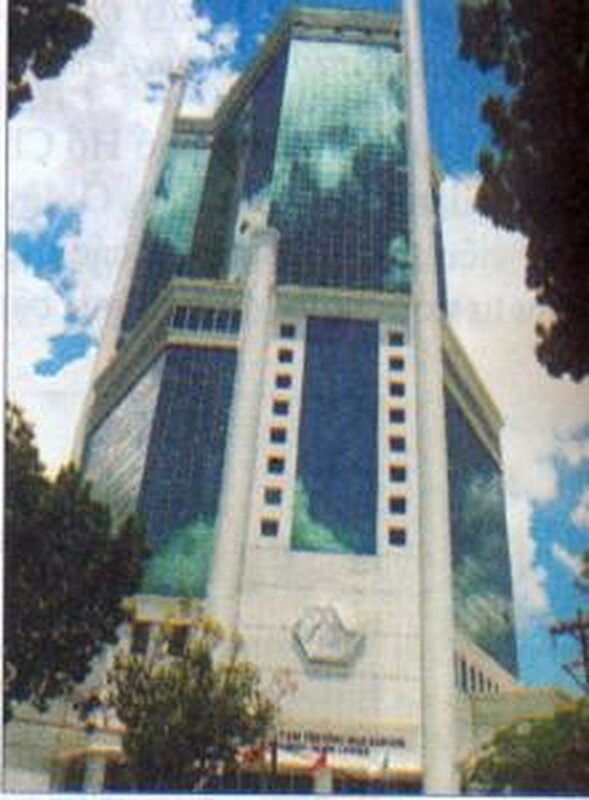 The monthly rent for an A-class office in District 1 is US$50-60 per square meter, while a B-class office is US$30-US$40, according to CBRE Real Estate Co. Only huge companies can afford such high costs. A France-based cosmetic company on Thai Van Lung Street, District 1 is being placed in a stressful situation when its landlord has just pushed up the rent to US$60 per square meter. Some companies have already moved their headquarters to the E-Town building in Tan Binh District because of its lower rent, while others are considering such a move. However, for companies that have to contact customers directly and frequently or for service and cosmetic companies, it’s not convenient if they move out of the city’s center. They are afraid that customers not find out their offices or will not want to travel to distant and unpopular places. On the other hand, locating in buildings in the center is a way to advertise for companies themselves, affirm their position as well as build up customers and partners’ trust in the companies. 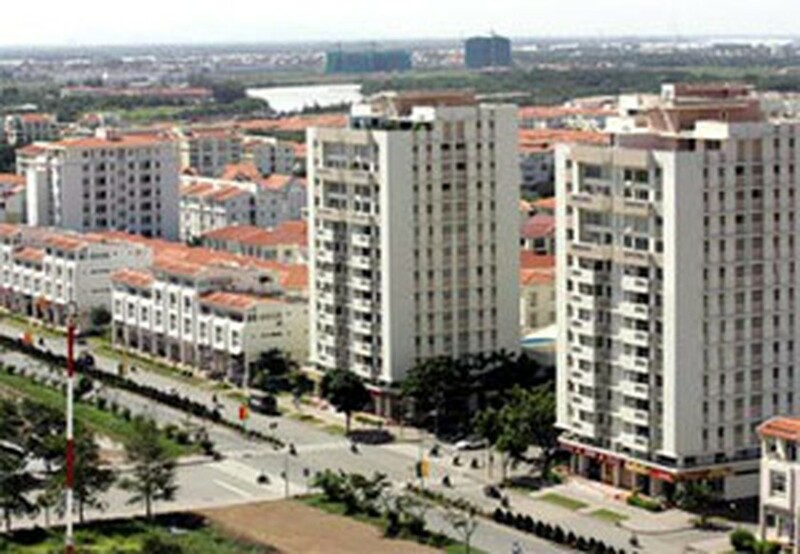 There are still spaces in buildings in District 7 and in Binh Thanh District where the rent only half as much as in the city center, Ms. Tien said. She chose the Miss Aodai building because it’s located in the center. “With the current severe traffic congestion, customers will not be patient to go far,” she added. In addition to relocating, some companies plan to divide into smaller departments. Departments that have to work directly with customers will be based in the center and while remaining departments like accounting and administration will be moved out of the center to a district where the rent is cheap. Communication will continue via Internet and telephone. Meanwhile, some private companies plan to purchase houses and refurbish them for office use. In order to resolve the scarcity of office space, real estate investors intend to build more buildings, but not in the center which already has a high usage density. Because there is so much traffic in HCMC, outlying areas are not attractive to investors. The United States Agency for International Development (USAID) and the Office of the Standing Board for the National Committee on the Settlement of Post-War Unexploded Ordnance and Toxic Chemical Consequences (Office 701) today signed a memorandum of intent that will improve the quality of life for persons with disabilities in the central provinces of Quang Tri, Hue, Quang Nam, Binh Dinh, the southern provinces of Dong Nai, Binh Phuoc, and Tay Ninh.